Studies have shown that the South Koreans are set to live longer than anyone else by 2030. For awhile, it was olive oil. Scientists, puzzled by the long lifespans of the Mediterraneans, singled out it out as a key ingredient in the elixir of life. Then there was Japan, whose lengthy spell at the top of global longevity rankings was attributed to its citizens’ low-fat diet and love of raw fish. 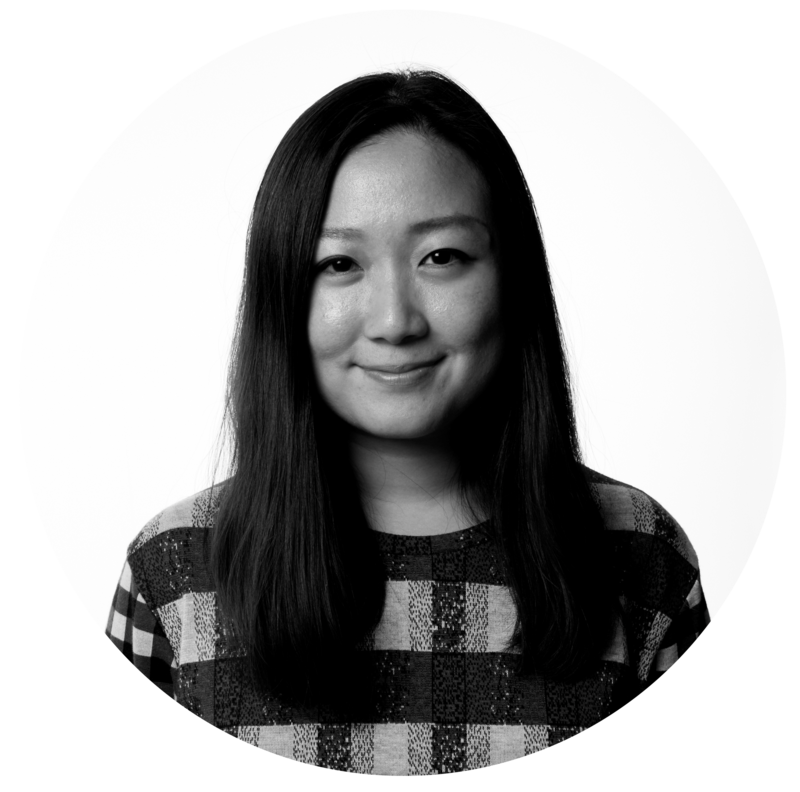 Now, with recent studies conducted by Imperial College London showing that the South Koreans are set to live longer than anyone else by 2030, the question is: is there something in the kimchi? So what exactly is kimchi? There are over 180 varieties of kimchi and probably the most popular of all and the one we're most familiar with is the baechu-kimchi (배추김치). It is a quintessential banchan (read: side dish) in Korean cuisine, made with salted, seasoned, and fermented napa cabbage. Its fermentation process. Fermentation dates back thousands of years, but it is now being held up as a potentially important source of friendly, gut-healthy bacteria. We've been taught for a long time that bacteria isn't a good thing. But the bacteria that comes from fermented foods is not an enemy - it is in fact, the heroes aiding in our digestion. First, napa cabbage is soaked in salt water to kill off any harmful bacteria. 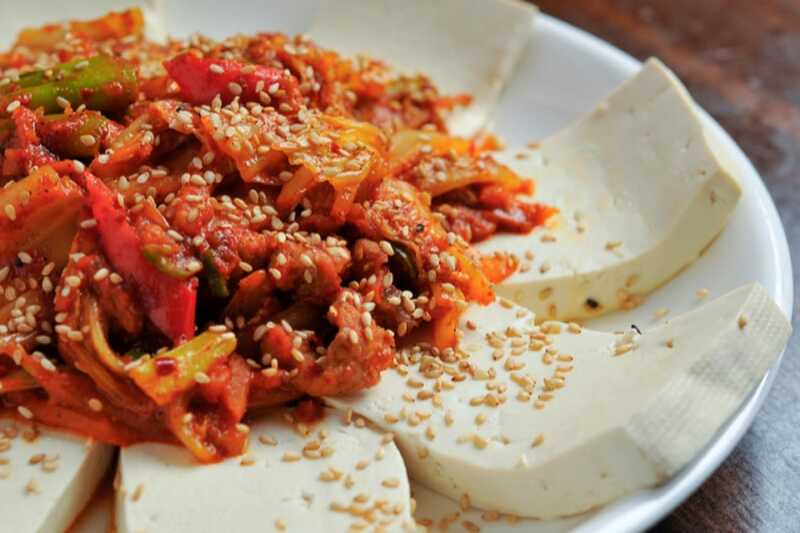 And then, the remaining bacteria called lactobacillus, the beneficial bacteria found in yoghurt and in a healthy gut, converts the sugars and carbohydrate into lactic acid, which preserves the vegetables and give kimchi its signature tang. The result is a dish rich in vitamins A and B and minerals like calcium and iron on top of its gut-healthy bacteria. 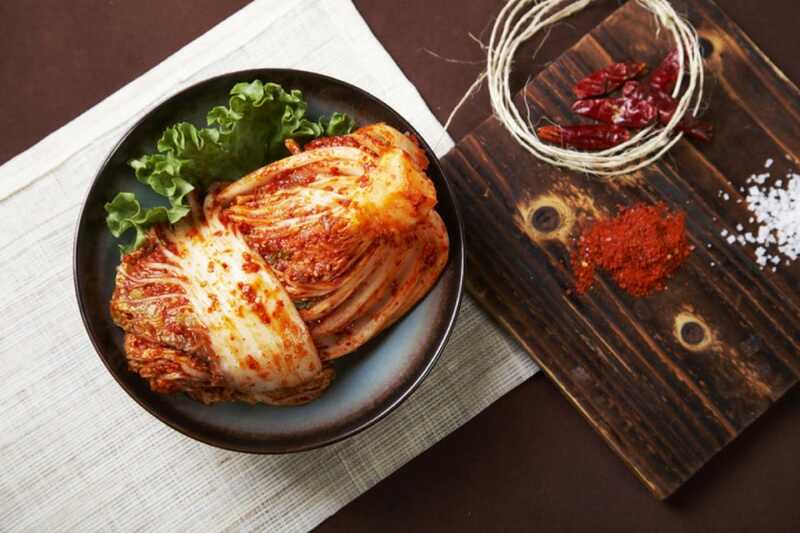 It is said that the average Korean adult consumes at least one serving (100g) of kimchi a day, which immediately puts them over 50% of the daily recommended intake of vitamin C and carotene. Additionally, most types of kimchi contain onions, garlic, ginger, and chili peppers; ingredients that are salutary. Thus, researchers believe that the benefits are multifold — from toting cancer-fighting properties and lowering cholesterol to improving mental health and skin. These creative establishments are flying the flag for modern Korean gastronomy. In this series, we explore the basic stocks that every great cuisine is built on. Include this nutrition-packed recipe from COMO Shambhala in your repertoire for healthy cooking.